The young Deltan ensign let out a startled yelp and looked away from a large astrographic plot to see his colleague, Lt. Whetu, standing behind him. In her hands was his neglected champagne flute, precariously balanced over his shoulder - and his immaculate white dress uniform. He cleared his throat and glanced ruefully at her, then at the glass. She apologize and stepped back, helping herself to a sip of the sparkling wine. She smiled. This was the real stuff, not the syntheholic approximation standard issue to serving Starfleet officers. No, for special occasions like today, tradition held that real champagne be served. “Sorry, but finder’s keepers,” she said, and winked as she took another sip. She set the glass down and leaned forward again, examining the amorphous shapes and clouds of numbers dancing in the air. “Yes, yes, not very polite I know. But here, look closer.” He tapped a few keys on his PADD and the display zoomed in on a star labeled TL-9139. “Well, that’s great and all,” Whetu replied, “but even if you go back there, it’s a bunch of derelict hulls from 150 years ago. Not something to spill champagne over…” She swiped at the glass in his hand, but he reared it away from her and scolded her with his other hand. “Yes! These classes all use Eaves/Beyer Warp drives! Quadrilinear Infuser Coils! N-Dimensional Phase Repeaters! 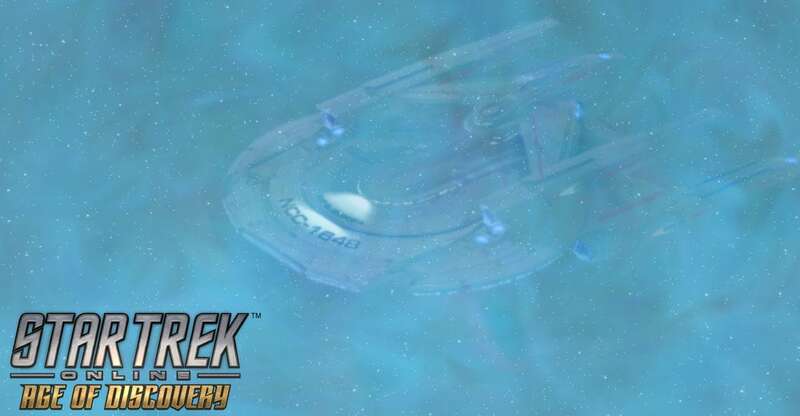 Bi-resonance Dilithium chambers!” Elyos closed the manifest and brought up another window, a general schematic of the Nimitz’ class warp propulsion and main power systems. “Huh?” Elyos muttered, turning towards her as she kept typing furiously. The two kept working late into the night, long after the party down the hall had ended and all the champagne had been drunk.